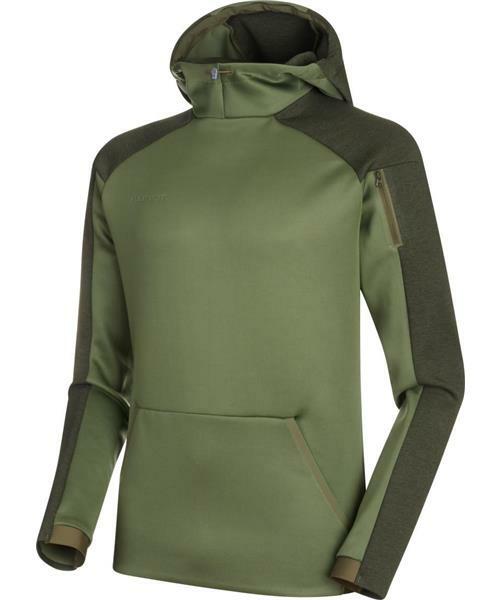 Practical for climbing and bouldering: the Mammut Logo ML Hoody Men mid-layer is made from a stretchable double-face material for greater freedom of movement. It features a practical small pocket for a key as well as a kangaroo pocket. On the back is a 3D logo.